After receiving her BA from CU Boulder, Dr. Lum attended Fort Lewis College for two years to complete her science requirements for medical school. In 2002, she earned her Doctorate degree in Naturopathic Medicine (ND) from the National College of Natural Medicine (NCNM) in Portland, Oregon. She completed her Masters degree in the Science of Oriental Medicine (MSOM) from NCNM in June 2006. 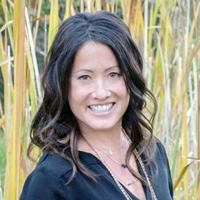 She is currently a licensed acupuncturist in Durango, Colorado, and is a Diplomat in Acupuncture and Oriental Medicine. Dr. Lum is also nationally certified in Acupuncture by the National Certification Commission for Acupuncture and Oriental Medicine (NCCAOM). As a physician, she integrates Western, Chinese and Naturopathic Medicine in order to offer her patients exceptional comprehensive care. Dr. Lum is the former clinic manager of The Hai Shan Center in Corbett, Oregon, working for Dr. Heiner Fruehauf, PhD, LAc. Dr. Fruehauf was the founder and Dean of the Classical Chinese Medicine program at NCNM. Dr. Fruehauf is also the founder of Classical Chinese Pearls, superior quality Chinese herbal supplements. Fluent in both German and Chinese, he studied Chinese medicine and Qigong at Chengdu University of TCM in China. Dr. Lum also served as medical assistant at Rising Health clinic in Vancouver, Washington for Dr. Daniel Newman MD, ND, LAc. Dr. Newman has over 25 years experience as a medical doctor, trained in Internal Medicine and Pain Medicine. Jeff’s passion for health, fitness and the outdoors led him to Boulder, Colorado where he completed the Boulder College of Massage Therapy’s (BCMT) 1000 hour training program in 1998. Jeff was first introduced to Rolfing Structural integration while still in massage school and immediately felt the benefits of the work. He had been experiencing chronic pain and discomfort for several years due to bad posture and a string of accidents and broken bones. “Rolfing Structural Integration literally changed my body. I was blown away by the power of the work.” Jeff completed a long time goal to become a Rolfer and graduated from the Rolf Institute’s 750 hour certification program. He is excited to share this transformative work with others. He specializes in complex biomechanical issues and is offering the full ten-series structural integration recipe as well as stand-alone sessions to address client’s specific goals and needs. Professionally Jeff has had many rewarding and educational opportunities within chiropractic, physical therapy, and neuromuscular clinics. He has also had the opportunity to travel with several national bike touring companies and loves working with the specific needs of athletes of all abilities. Jeff has also been enthusiastically involved in the educational side of body work: as a teaching assistant in the anatomy department and a supervisor in the student clinic of BCMT; and as both a teaching assistant and instructor through the Spinal Reflex institute. Jeff is a certified Rolfer, nationally certified massage therapist, a member of the American Massage Therapy Association, and is a registered massage therapist with the state of Colorado. 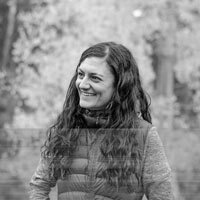 Haley received training in massage therapy through Mountain Heart School of Bodywork & Transformation in the teeny tiny charming town of Crested Butte, Colorado. An unassuming place for a top knotch massage school. She graduated in November of 2015 and moved to Durango right after to start her own practice. Since that time she has been dedicated to her work and clients while building by a thriving practice. She has continued to take workshops to further her education in the healthcare big arts. Deep, slow, methodical strokes, combined with a handful of different techniques Haley will leave your body feeling restored, rejuvenated, and ready to go through life with more ease and comfort.